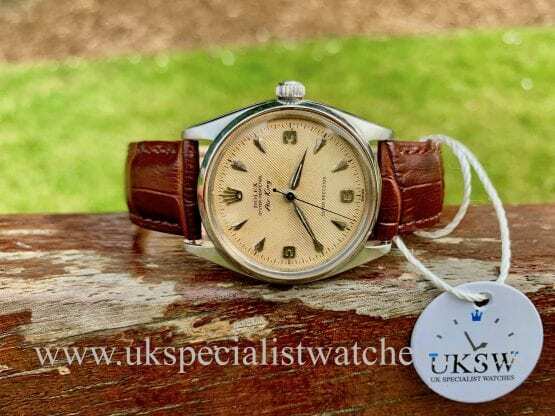 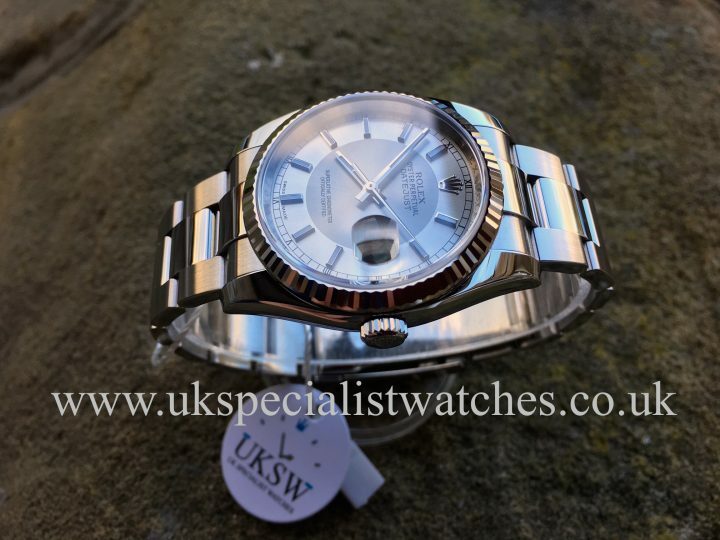 Rolex DateJust 116234 with a 36mm stainless steel case, solid 18ct white gold fluted bezel and a Silver/Rhodium “bullseye” dial (which has now been discontinued). 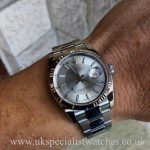 Red roulette date wheel, silver baton hour markers. Fitted to the new style solid link oyster bracelet with polished centre links and the latest double folding clasp with easy extension link. 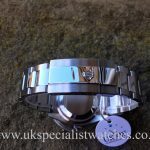 Our example is in absolutely as new condition. 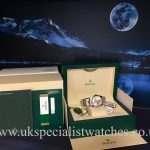 Comes complete with stamped warranty card, both swing tags, green leather wallet, both booklets. 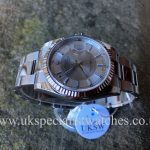 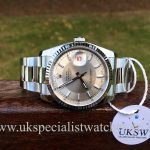 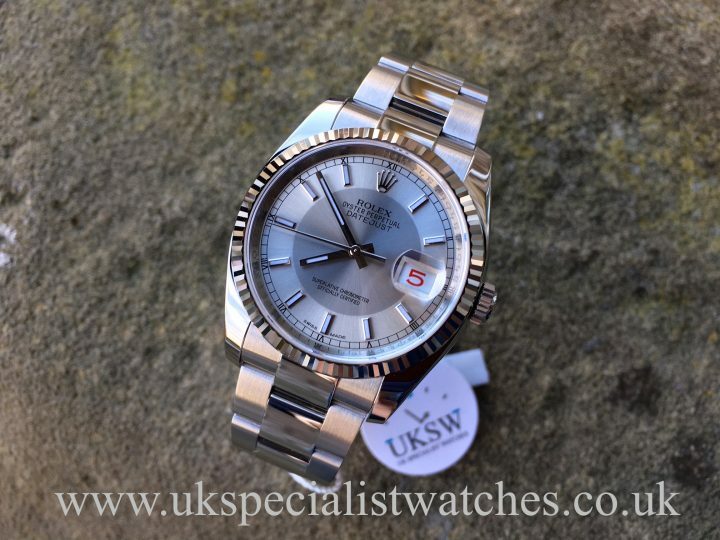 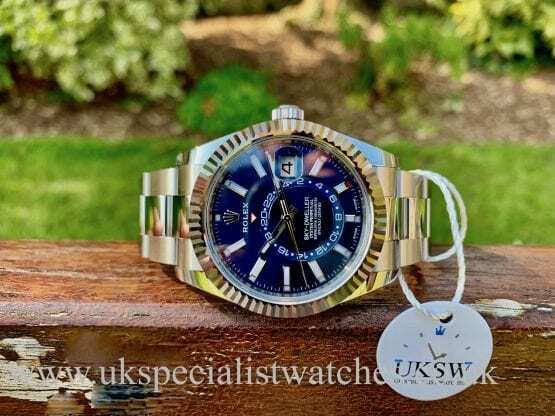 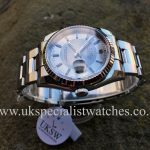 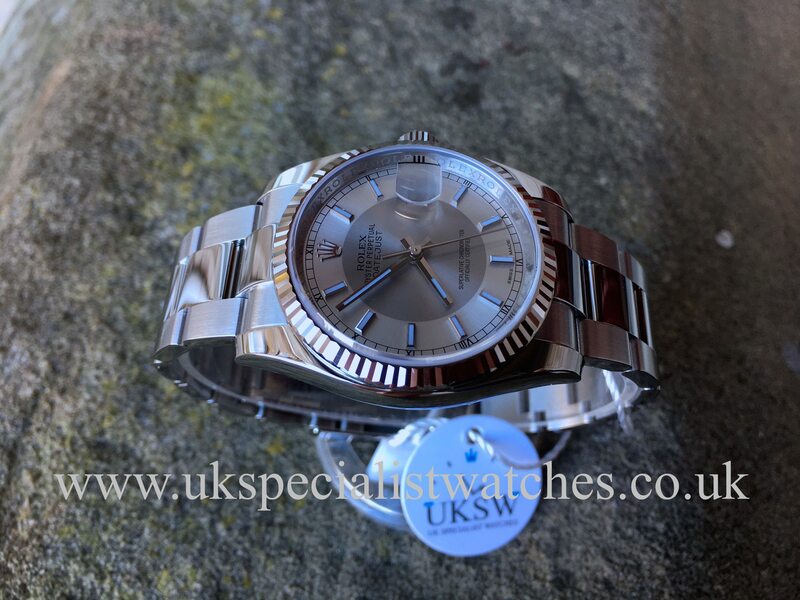 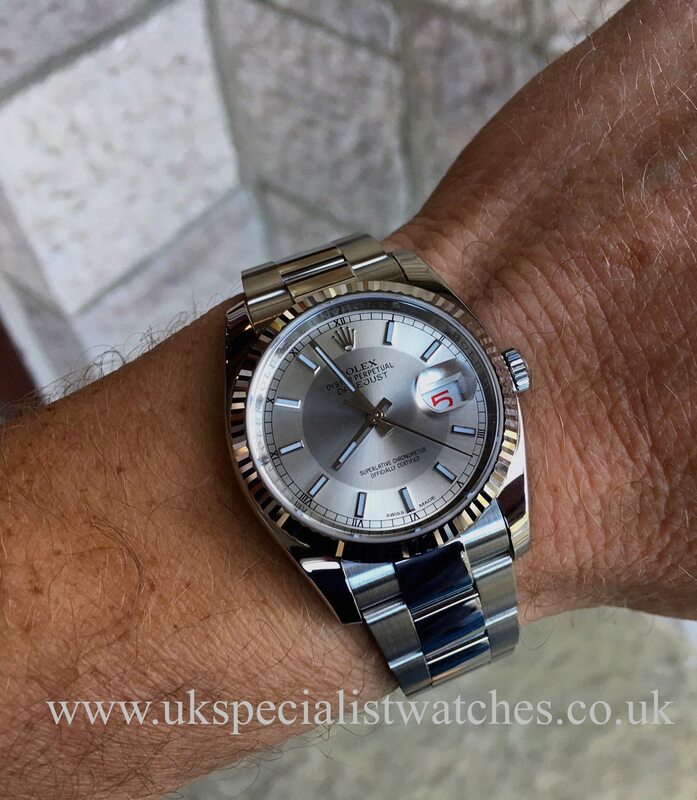 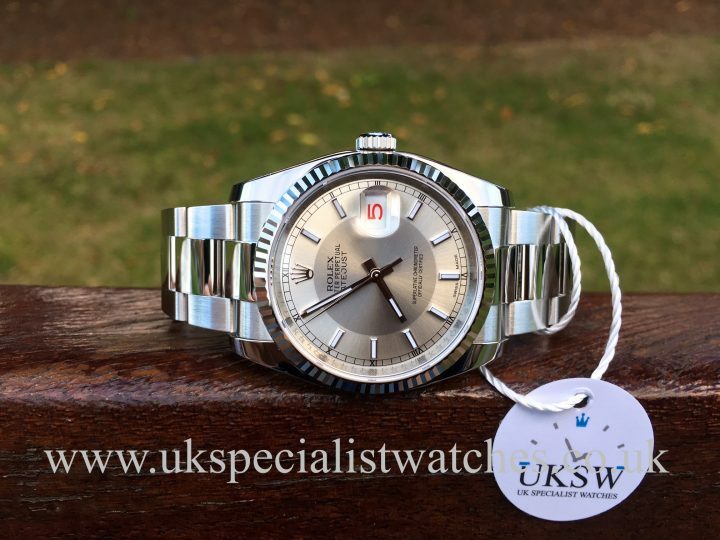 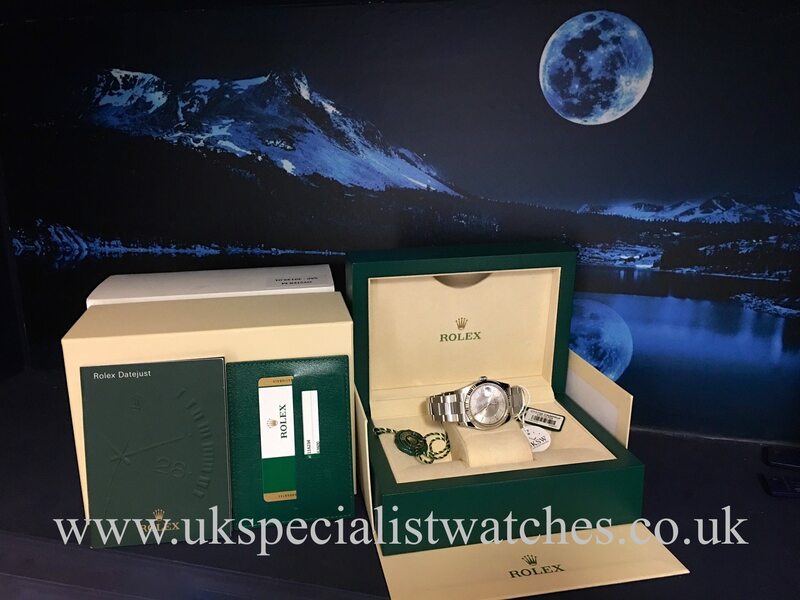 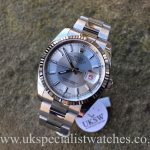 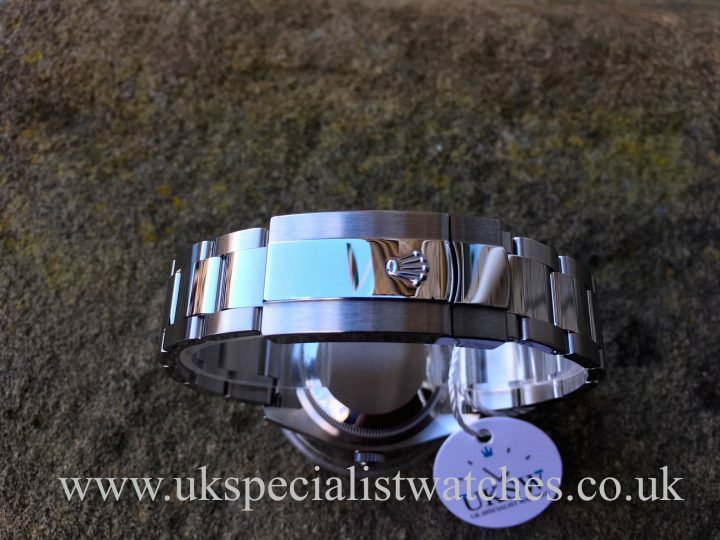 UK supplied new in October 2015 with 4 years Rolex warranty still remaining.